As a member of the World Commission on Protected Areas, I’ve met park managers and activists from all parts of the world. I have seen how America’s National Parks are well known internationally. The National Park System is called the best idea America has ever had. The National Park Service is renowned for its skill in managing parks from Yellowstone, known as the mecca of parks, to portions of Lowell, Mass., an old industrial city. But New York state has not gotten such national and international attention for its great parks and protected areas. Consider the state’s protection of wilderness areas. Howard Zahniser, former leader of the Wilderness Society, was instrumental in the creation of the Wilderness Law. Zahniser had a cabin in the Adirondack Park near a cabin owned by Paul Schaefer, a leading advocate for protecting New York’s forest preserve. Zahniser was impressed by the forest preserve and spent many hours talking with Schaefer about New York’s experience with the forest preserve. 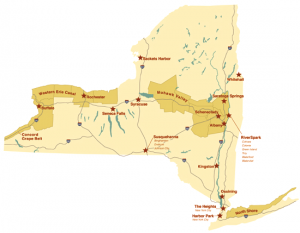 Like our National Park System, New York has a wide range of top notch parks and protected areas. 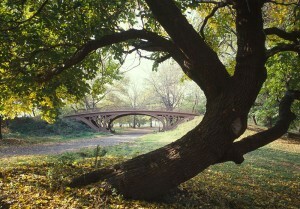 Frederick Law Olmsted’s Central Park and Prospect Park in New York City are renowned as urban pastoral gardens. Olmsted also selected the location of Albany’s Washington Park. Regrettably, Albany’s city fathers rejected Olmsted’s insistence on designing a coordinated system of parks and parkways, and he moved on to Buffalo, where he went on to do just that, the first such system of its kind in the country. 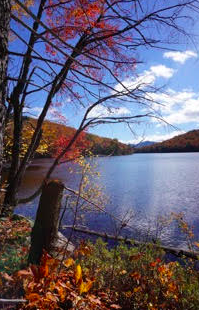 In 1892, the state established the vast Adirondack Park, which is now 6 million acres in size. It was followed in the early 20th century by the Catskill Park. Both parks are a matrix of wild forest lands and inhabited areas. Robert Moses led New York to establish the nation’s first state park system, now composed of 179 state parks and 37 historic sites. The system includes Niagara Falls, the oldest state park in the nation, Letchworth State Park, known as the Grand Canyon of the East, and the vast Jones Beach on Long Island. 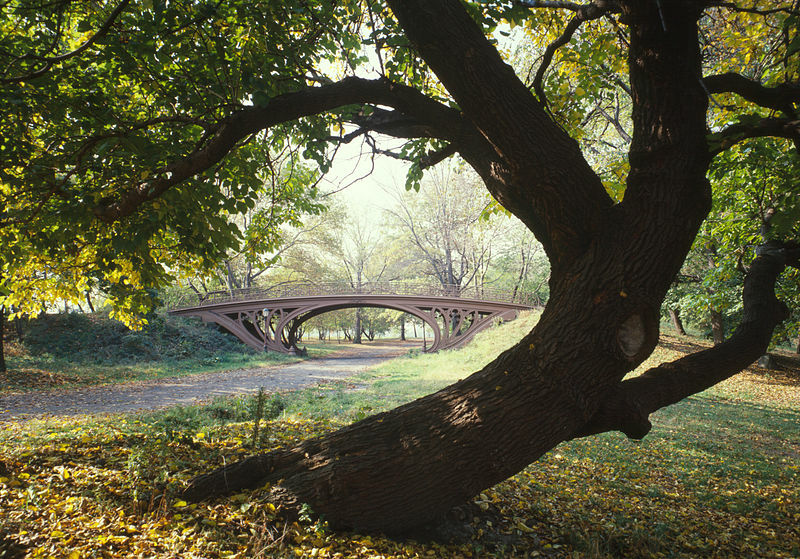 In 1982 the state enacted the nation’s first Urban Cultural Park System. It is now called the Heritage Area System. It has 20 State Heritage Areas ranging from Harbor Park in New York City, portions of cities like Albany, Syracuse, Rochester and Buffalo, villages like Seneca Falls and Sackets Harbor, and regional heritage areas like the Concord Grape Heritage Area. Heritage Areas have been called “partnership” parks because successful management depends upon partnership between the state, localities and the private sector. Sadly, they have been limping along because the state’s Office of Parks, Recreation and Historic Preservation has not wanted to uphold its share of the partnership. Notwithstanding the troubles some of the Heritage Areas have had with the state, the first of the 49 National Heritage Areas which followed in New York’s footsteps is having a 30th anniversary this year. New York again led the nation. Our state also has established greenways like the Hudson River Greenway, stretching from New York City to Saratoga and Washington counties, and preserves like the Albany Pine Bush Preserve, which was recently designated by the U.S. Department of Interior as a National Natural Landmark, and the Long Island Central Pine Barrens. We should be proud of our parks and protected areas in New York state. Many of us enjoy, are inspired by and make good recreational use of one or more of our parks and protected areas, but I don’t think we have proudly proclaimed how world class our parks, protected and heritage areas are. We need to show our pride if we are to be known as a desirable place to live. For 6 months in 1996-97 I had the opportunity of living at the American Academy in Rome as a recipient of a Rome Prize. 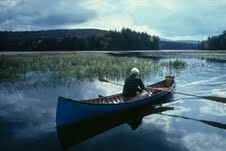 As an advocate of parks, protected areas and historic preservation in New York State and beyond, my interest has been less with the traditional public estate parks (local, state and national) and more with area wide parks, greenways, landscapes and heritage areas like the six million acre Adirondack Park, the 3 million acre Hudson River Greenway and state and national heritage areas. I expected to find historic landscapes in Italy that were being managed as parks, but thanks to the emerging effect of the European Union (“EU”) I found more park interest and activity than I expected. The EU set a standard for each EU nation to have at least 10% of its land mass be managed as park or protected area. At the time this standard was established Italy had only 4 National Parks and 1% of its land mass protected. 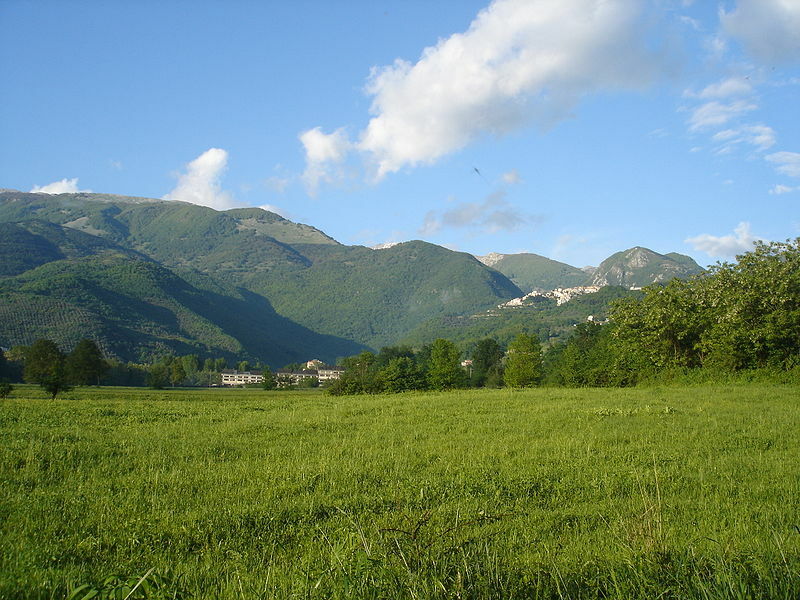 By 2000 Italy could claim it met the 10% standard and it had more than 20 national parks complemented by regional parks like Alpi Apuana, a mountain top region of northern Tuscany with the marble mines that provided the marble used by Michelangelo. My interaction with Italian park and conservationists was interesting and enriching. As an American, I was welcomed as a national of a nation with the global Mecca of parks, Yellowstone National Park. Yet, as I got to know the Italians and told them about the Adirondack Park and our heritage areas, we had a new and unexpected common ground. I was not the “know it all American” but someone who admired and wanted to learn about Italian parks like the Italian Abruzzo National Park, the Po Delta Park and the Pisa Regional Parks. The Abruzzo Park about 2 hours from Rome and Naples in the Apennines was a small 100,000 acre model of the Adirondack Park, but it was also awesome in its beautiful surround of 6,000 foot mountains, its medieval villages strung along its basin and its remarkable wild life including a sustainable population of 50 wolves. The wild life was nurtured at the same time eco-development was fostered in the Park’s villages through, for example, visitor centers in each village and stores selling products of the park. This was happening as mountain villages in other parts of Italy were dying. As a result of the Great Recession in 2008 and some changes in leadership in some of the parks, the formal exchanges have declined. Now the only formal, ongoing twinning is between the Central Pine Barrens on Long Island and the Pisa Regional Parks. Thanks to the assistance from the Brookhaven Lab and the links for ongoing, real time through camcorders biodiversity projects that were established between schools on Long Island and Pisa, the Pisa-LI twinning continues. Informally, contacts continue between people that where involved in the other formal twinnings. Contacts between planners and academics in Italy and the USA led to the recent publication of Parks and Territories: New Perspectives and Strategies edited by Francesco Morandi, Federico Niccolini and Massimo Sargolini. Retired Professor Roberto Gambino is coordinating another book of articles on park and landscape planning. We are living in a shifting and evolving framework for protected areas, nature conservation and sustainable development. This situation is marked by the involvement of many government agencies and private groups not only in the lands and waters in and around protected areas, but those that are far away. In these circumstances concerned agencies and private groups cannot easily regulate or direct on another’s activities. Civic arrangements need to be encouraged so that the array of stakeholders concerned about protected areas, nature conservation and sustainable development can learn mutually for one another and find ways to communicate, negotiate, plan and act in the individual and the common interest. In this respect pluralism needs to be explicitly recognized and to be dealt with in a collaborative rather than a predominantly or exclusively corporate manner. The human dimension of protected area planning, management and decision making requires as much attention as science at the local, provincial or state, national and international scales of thought and practice. The human dimension of the park twinning which included park officials, managers, advocates and various stakeholders allowed many to “learn mutually from one another and find ways to communicate, negotiate, plan and act in the individual and common interest”. Mutual learning complemented by ongoing communication continues. When I was a bill-drafter for then-state Assembly Environmental Committee Chairman Maurice Hinchey in the 1980s, I accompanied him to meet with a group of local government officials in the Adirondack Park. The town supervisors complained nonstop about Adirondack Park Agency, the state agency implementing the state’s Adirondack Private Land Use Plan. They didn’t like the plan’s strict density restrictions for private development and that a majority of the APA members came from outside the Adirondack Park. Almost half of the Park land is public “forever wild” forest land and therefore outside the bounds for development. Hinchey listened respectfully as the local officials complained about land use control by outsiders. In the case of the Park, the courts ruled that an overarching state interest justified state control rather than local control. When the local officials finished with their complaints, one supervisor conceded that if the State had not intervened in the park, there would be no local land use planning. A couple of years later, then-Manhattan Assemblyman Pete Grannis proposed to Sen. Ron Stafford, the leading Adirondack Park legislator, legislation for a study on how to promote tourism for the whole Park. Stafford agreed, and I drafted the bill. The Adriondack Park includes a number of county tourism promotion agencies that received state funds for tourism promotion. Language was included in the bill that nothing in the recommendations would limit the roles of the existing tourism agencies. The director of one such agency complained to Stafford about the bill, and he withdrew it. Many individuals and entities have played a role in creating the Adirondack Park’s recent progress. 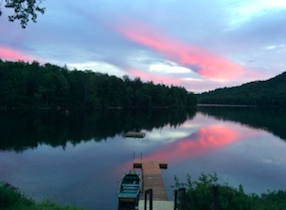 Common ground started an open discourse to find what the people in the Adirondack Park agreed upon. The state provided $1 million for smart growth planning that wasn’t just for Main Street projects but included, for example, funding to bring broadband to the entire region. Outreach engaged neighboring regional economic development entities like the Center for Economic Growth in the Capital Region and the North Country Chamber of Commerce. This helped join three of the governor’s regional economic development councils with portions of the park to work together to finance the Adirondack Park Recreation Web Portal Project to promote recreation in the whole park. Unlike the ill-fated Grannis-Stafford bill, this time support came from all sectors of the park, including the tourism agencies. Local officials like Bill Farber, the Morehead town supervisor as well as the Hamilton County legislative chairman, are successfully advocating for holistic regional planning. It helped when Gov. Andrew Cuomo created the Adirondack Challenge that included New York City Mayor Michael Bloomberg in a whitewater raft race in Indian Lake. From what I saw at the Newcomb Forum, the Park’s former contested landscape is becoming a more collaborative landscape.